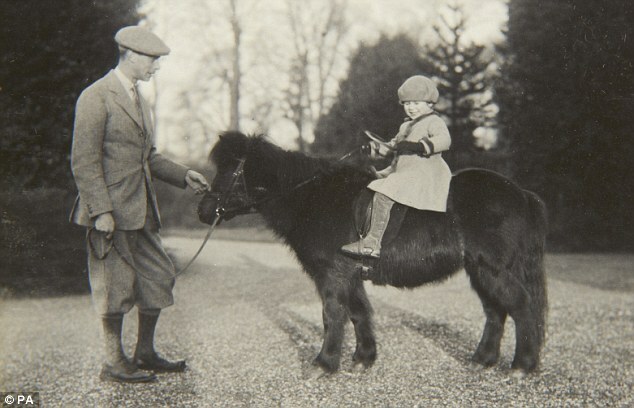 She was handed the reins of her first pony as soon as she could walk. 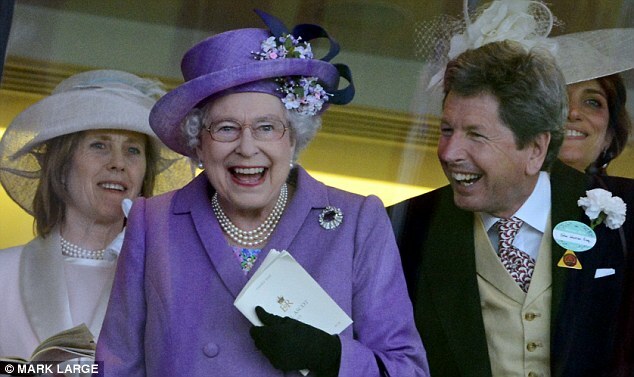 Now, as her 88th birthday approaches this month, the Queen shows no sign of giving up the pastime she has loved since childhood. 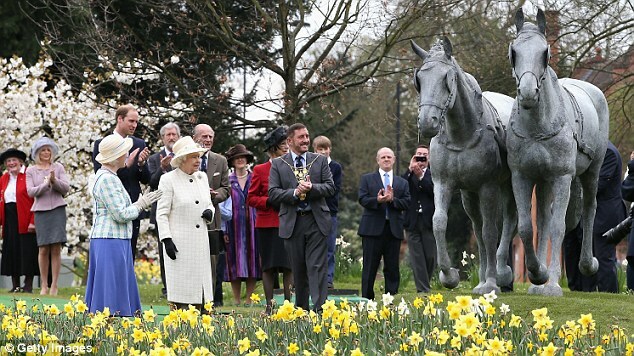 Taking in the glorious spring sunshine at Windsor in recent days, the Queen rides Carltonlima Emma, one of her favourite ponies. 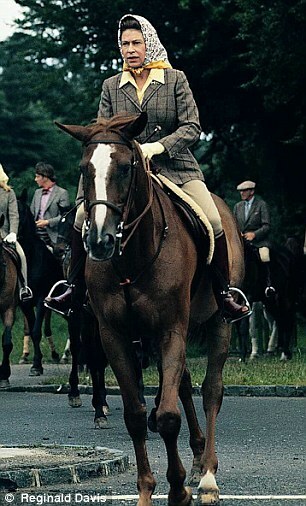 Wearing her usual riding get-up of a silk scarf over her hair, mac and jodhpurs, she was accompanied by her stud groom Terry Pendry on a gentle hack around the estate. 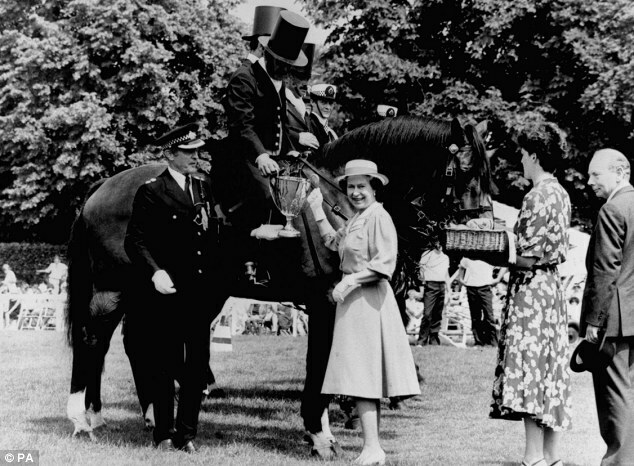 Originating from farms in the north of England, fell ponies are frequently used as riding or driving animals as they are noted for their hardiness, agility, strength and sure-footedness. 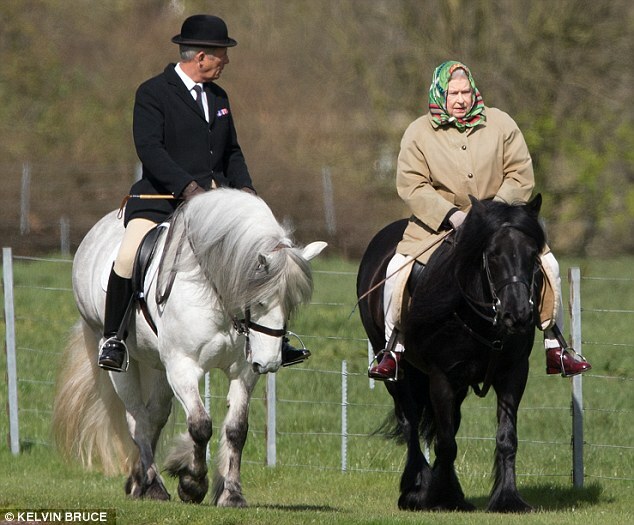 The Queen adores the breed so much she has become patron of the Fell Pony Society. 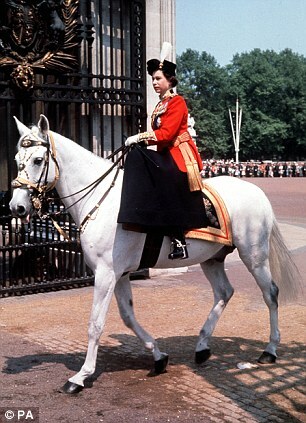 The sovereign donned a pair of white jodhpurs and cherry red leather riding boots and carried a crop in her hand as she picked her way confidently over the uneven ground on her estate. 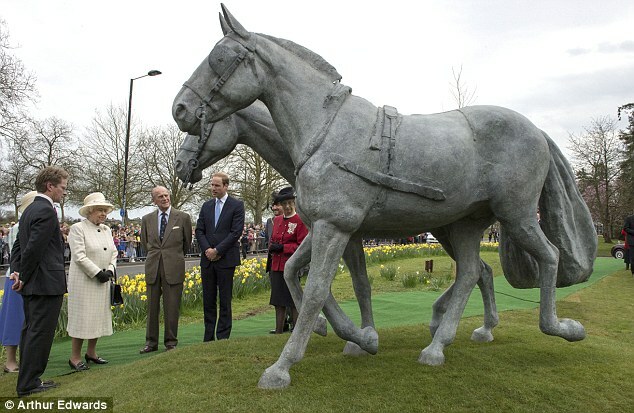 One onlooker said: ‘It is remarkable to think that she is a woman rapidly approaching the age of 90. 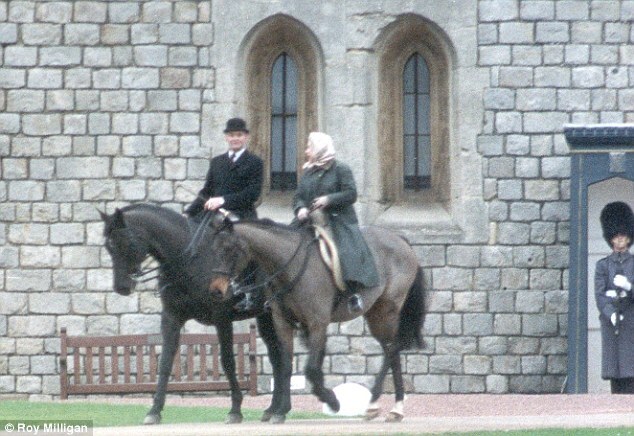 ‘She isn’t seen riding out at Windsor as much as she used to but still likes to enjoy the odd hack out when she can on a fine day. 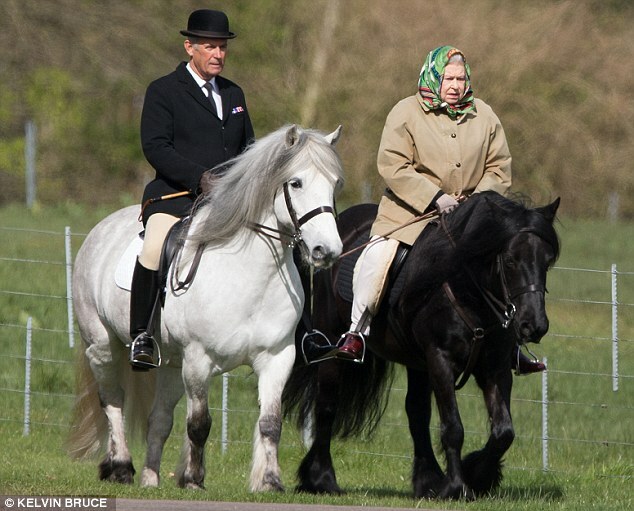 Sources say the Queen is still a familiar figure at the stables at Windsor and takes a keen interest in all her horses and ponies, many of whom are now ridden by her grandchildren, most notably the Earl of Wessex’s children, Lady Louise and James, Viscount Severn. 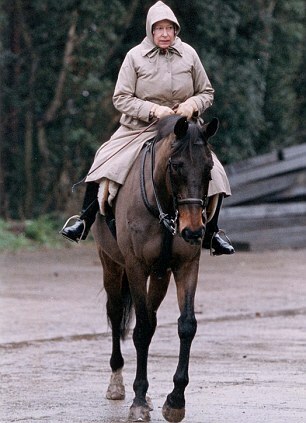 One aspect of her riding remains unchanged, however – her refusal to wear a hard hat, which has sparked concerns over her safety in the past. 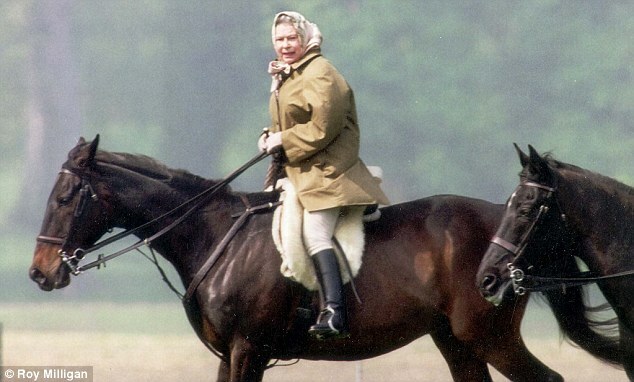 In a recent interview, racehorse trainer Ian Balding told how when he was hacking with the Queen at Windsor he took her to task over her refusal to wear a hat. 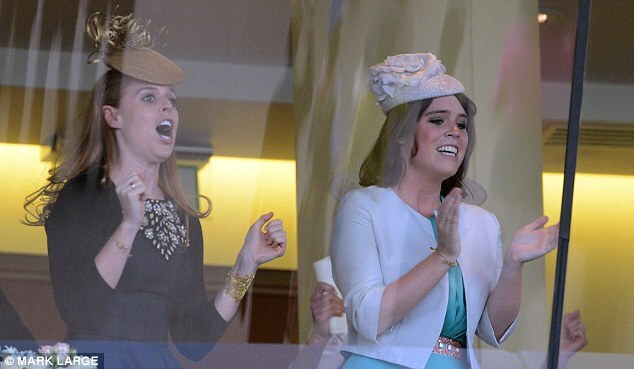 ‘I really think it is ridiculous that you, above all others, do not wear a crash helmet,’ he said. 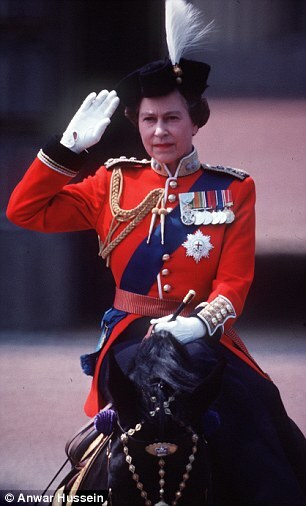 It was suggested that this was less an expression of vanity and more a reference to her need to be ready at all times to undertake an official duty. 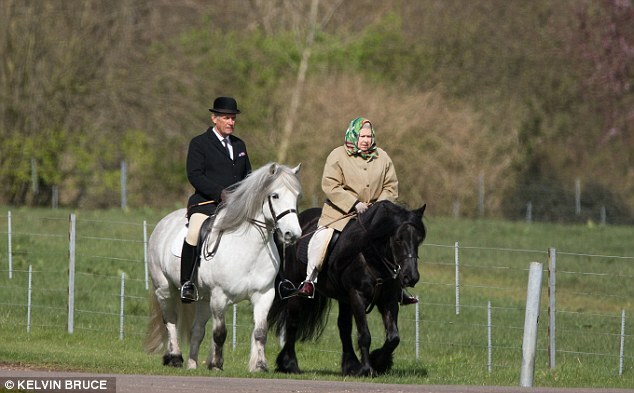 Rospa, the Royal Society for the Prevention of Accidents, urges all riders ‘whether or not they are in the public eye’ to wear a hat in order to reduce the severity of head injuries should they fall.